All children should have the opportunity to succeed, but some kids have a tougher road than others. Low-income students are six times more likely to drop out of high school and fewer than one-third will enroll in college. Summer learning loss can make the problem worse and widen the achievement gap for students who already are disadvantaged. Without proper support, students experience a substantial and cumulative erosion of reading and math skills that can ultimately leave them years behind their peers. Horizons is a national organization dedicated to closing the achievement gap and minimizing summer learning loss. 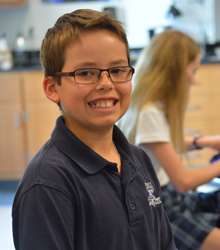 Trinity Episcopal School partnered with Horizons to form Horizons AustinTrinty in 2016. This collaboration serves elementary school students and their families by providing facilities, educators, and volunteers. 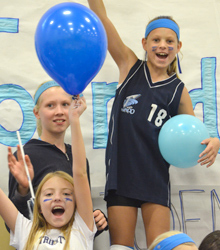 With a student-teacher ratio of 5:1, kids get an engaging experience that builds confidence and crucial skills. The results of the program speak for themselves, with measurable improvements in literacy and mathematics. And those gains carry through to high school and beyond—99 percent of participants graduate high school and 91 percent attend college or post-secondary training. Horizons is a transformational, community-centered program proven to close the achievement gap and minimize summer learning loss. Horizons AustinTrinity is one chapter in a national network of 51 local programs across 17 states that offer a high-quality learning experience outside of the traditional school year, supporting academic achievement and healthy youth development. The first Horizons program started in 1964 at New Canaan Country School in Connecticut. During the 1980s, Dr. Edward Zigler and his team of Yale University graduate students and faculty demonstrated that participation in Horizons reverses summer learning loss. Dr. Zigler recommended replicating the Horizons model in more locations. The program went national in 1995 and began to grow steadily. In 2016, Horizons served over 4,600 students in 51 programs in 17 states. Horizons AustinTrinity was founded in 2016, and it is the first and only chapter in Texas. 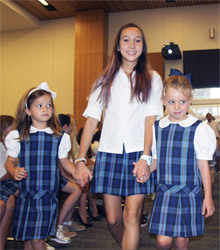 Students attend a 6-week summer program on the campus of an independent school, college, or university, and receive additional support throughout the year. In small classes led by professional teachers, students dive into a rich curriculum with a focus on reading, STEM, and art. Swimming and other confidence-boosting activities break down barriers to success and expose children to new opportunities. 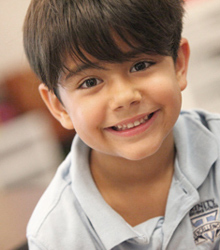 Horizons AustinTrinity focuses on students in early elementary school who are performing at or below grade level. The program leverages a diverse group of highly trained educators along with about 50 student volunteers. 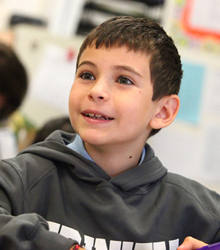 With a 5:1 student-to-teacher ratio, kids get personalized attention to help them flourish. The relationship with each student and family continues year-after-year until high school, building lasting connections and developing life skills essential for success. Small class sizes with a 5:1 teacher-student ratio with expert teachers coming from Trinity Episcopal School and AISD partner schools, including an on-site reading specialist. 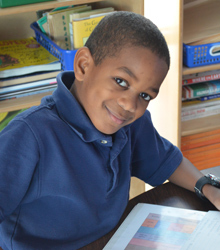 With small class sizes, differentiation is the norm at Horizons AustinTrinity. Children develop and enhance literacy and numeracy skills through project-based learning and STEM-focused activities. Weekly field trips connect and build on what is being learned in the classroom. Students enjoy art, theatre, technology, music, athletics, and other cultural enrichment. Each child learns to swim, developing confidence that transfers to increased academic success. On average, students learn the equivalent of 8-12 weeks in reading and math curriculum over each 6-week session. So they not only avoid summer learning loss—they actually make gains. Of all participants in the program, 99 percent graduate high school and 91 percent attend college or other post-secondary training. Horizons programs become anchors of positive support in the community, retaining 84 percent of students and families year-to-year. With a network of support behind them, Horizons students embrace a more expansive view of what’s possible. The program transforms the way students see themselves and their future. Their reading and math skills improve significantly, and they minimize learning loss that can occur during the summer months. The students return to school excited to learn. Horizons students develop life skills like commitment, persistence, and the desire to contribute to their community. With the tools to navigate their world, Horizons students embrace a more expansive view of what’s possible, and find a path of success. Horizons Austin Trinity works in partnership with the Texas Department of Agriculture Squaremeals Food Program. Horizons students are provided a healthy breakfast and snack.